Collaborator with the music collective Members Only who became known for songs such as "Look At Me," "SAD!" and "Jocelyn Flores." He released studio albums titled 17 and ? in 2017 and 2018. He spent his childhood in youth programs. He posted a first track, called "Vice City," to his SoundCloud account in March of 2014. His album 17 charted at number two on the US Billboard 200 as well as in numerous European countries. He created a gaming YouTube channel which reached 5.5 million subscribers. 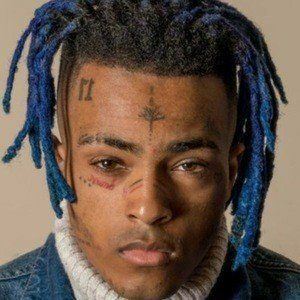 His name was Jahseh Dwayne Onfroy. His father was incarcerated for much of his upbringing, leaving him in the hands of his mother. He was a middle child between the older Arianna Drew Onfroy and younger Aiden Onfroy. He was shot and killed in Southern Florida on June 18, 2018. He was featured on the Robb Banks mixtape C2: Death of My Teenage.